How to detect and determine the extent of wheel damage. The call we receive the most! Being the most sensitive part of a vehicle, wheels tend to get damaged the quickest. The worst enemy? Curbs. 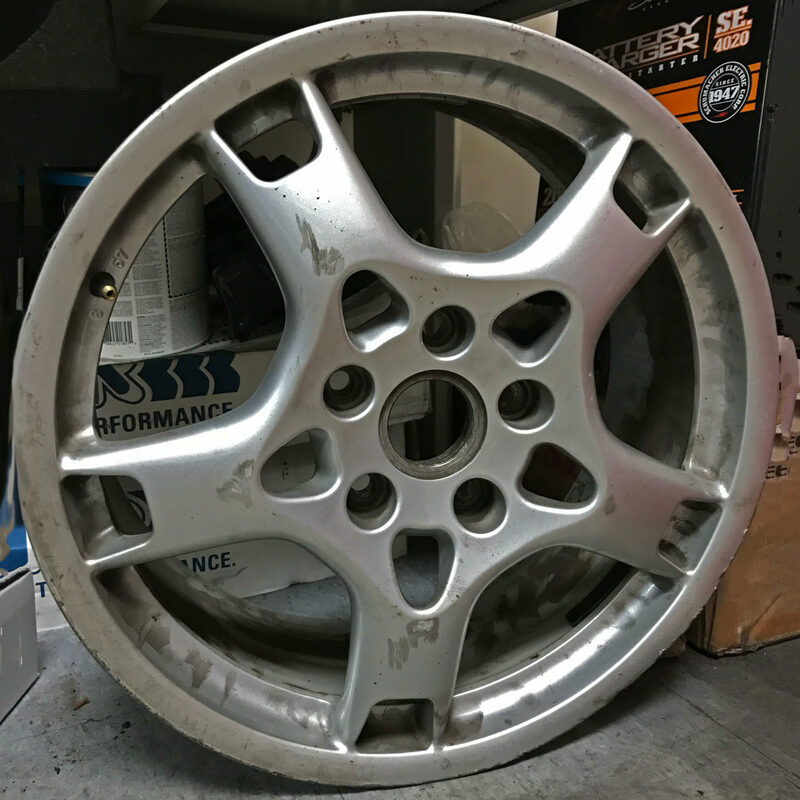 This blog entry will be focusing on the different types of damage a wheel can receive, how to detect them & ultimately how they can be repaired. To the left is our victim for this entry. A wheel that has seen better days. From a bent barrel to scratches and scars, this wheel has been through a really bad time. Here is what we can identify from looking at it. Usually caused from potholes, curb and road hazard; bends can be spotted in the inner lip outer lip, spokes or face. After inspecting closely, we can determine if it’s possible to roll out bends, returning the wheel to it’s original shape. We want to make sure the safety of the vehicle is not compromised when doing so. Leading cause: curb rash, road debris or driving with a flat. Damage is mostly seen on the lip, spokes or face. Best way to correct is by repairing the damage, prime coating the wheel and clear coating with OEM paint. The result: a wheel back to its original state. Caused by chemicals, tire sealants and brake dust. These items are mostly found on the side of the road or can come from the vehicle itself. Same as with curb damage, the wheels are repaired (if needed), prime coated and clear coated with the OEM color. As a result, giving it a brand new look. Mostly caused by direct contact with road hazard materials & debris. This damage requires a bit more complicated process. Involving welding or the use of a CNC machine, the damage is repaired back to original conditions. Some damage may be beyond a safe repair. Usually a result of an accident or really dangerous road debris. As with gouges, this too requires the special use of a CNC machine or welding to repair. Dependent on the safety of repair as well. 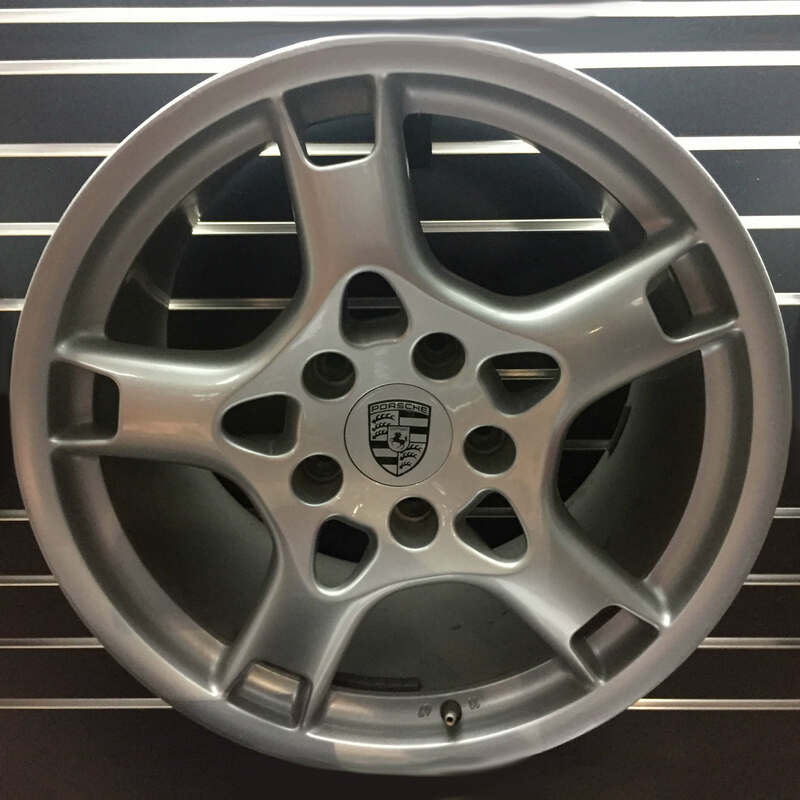 As you can see in the images above, some wheels can be repaired back to factory finish, keeping your more expensive set rolling for several more years. Our shop can perform all the tasks we discussed above. The normal turn around doesn’t exceed 5 business days and includes all the mounting & balancing needed to safely remove the tire and leave your vehicle in perfect running condition. If you would like to inquire about pricing, please use the form below or all our office. We would be more than happy to assist with any wheel damage you might have.